Whistle Stop is abuzz...the mayoral election is just weeks away. Candidate Mason Noble has a vested interest in fast-tracking the town's revitalization project. But the votes he'd counted on are drying up because his engagement to Bella Nez ended abruptly. The local grapevine is humming with rumors, but only he and Bella know the truth. And they aren't talking! When an emergency puts Bella in the proverbial tough spot, she needs money and fast. There's only one person who can help--Mason. He agrees to a loan, but he has a condition. He needs Bella by his side again. A reconciliation would win over the townspeople--and it would give him a chance to win back the only woman he's ever loved. Please let her be okay. 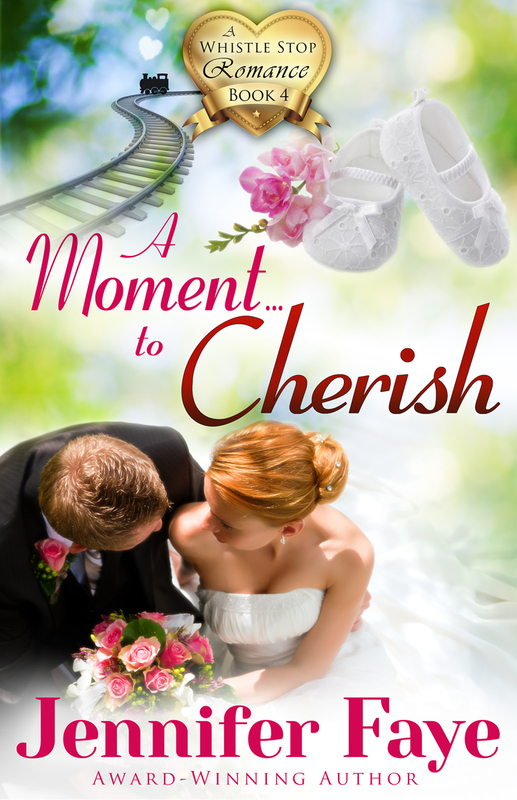 Bella Nez laced her fingers together to keep from nervously fidgeting. She shifted on the hard plastic hospital chair, unable to take her gaze off her dearest friend. The hallways of Whistle Stop General Hospital were surprisingly quiet, but that didn’t put Bella at ease. Thursday morning was definitely off to a bad start. Very bad. She hoped it wasn’t an omen for the rest of the day. Miss Mabel’s age was one of Whistle Stop’s mysteries. If anyone asked, she claimed she was thirty, give or take a year or two. Miss Mabel had been giving that same answer for so long that no one could actually recall her correct age—at least no one who would admit it. If Bella were to wager a guess, she’d say her friend was closing in on eighty. Her assumption was based on years of listening to the woman’s stories about growing up in Whistle Stop. Bella studied the woman’s pale complexion before shifting her gaze to the IV bag and the heart monitor. It certainly seemed like an awful lot for a few bruises. Was there more wrong with Miss Mabel than her injuries from the fall? Bella quietly nodded as concern continued to course through her veins. Nothing could happen to Miss Mabel. She was the only family Bella had, and she loved her dearly— just like a mother—more so, really. And right now, she could use some motherly advice. But now wasn’t the time to unburden her troubles about her broken engagement. The priority was getting Miss Mabel back on her feet. Bella’s gaze moved to the black and white tiled floor. “There’s nothing left to talk about.” Liar. Liar. Miss Mabel’s lips pursed together while her eyes reflected her disbelief. The problem was the woman knew Bella too well. And this was most definitely a discussion for another time.